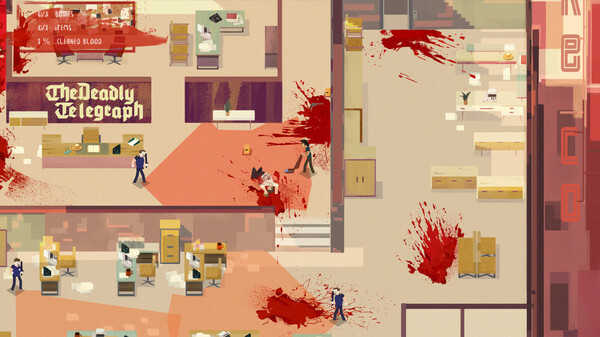 While most games set you out with the objective of committing murder, Serial Cleaner begins right after a murder has taken place. 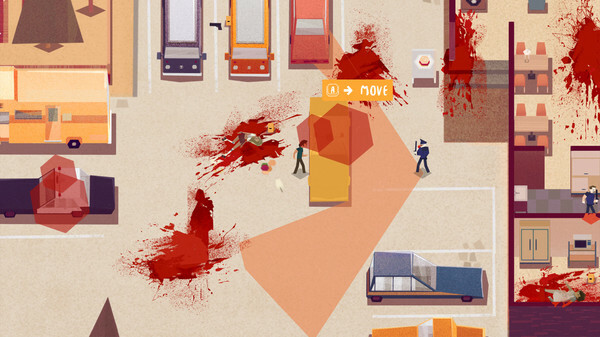 You play as a professional cleaner, a Serial Cleaner, whose job is to clean up evidence from the scene of a murder. Imagine going around in GTA V creating absolute ruckus, and a pile of bodies behind you, only to come back later and see everything spick and span. 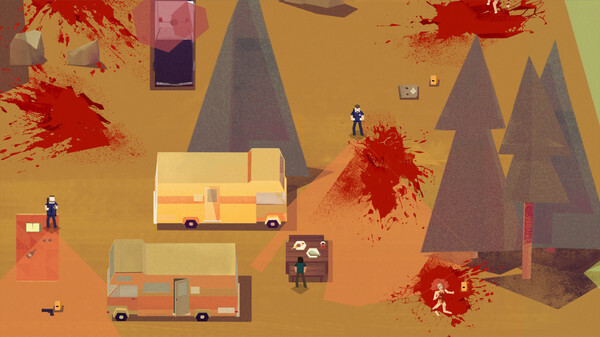 Well, now you know that the Serial Cleaner has been through the area, and that’s who you play as in this game. 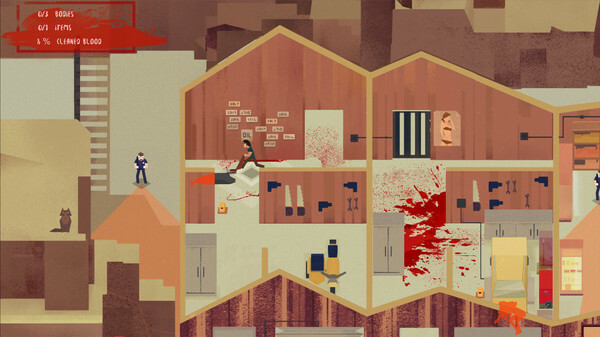 The game presents itself with a ton of style and the presentation is top notch. You are given an aerial view of the crime scene, and tasked with getting rid of the bodies and other evidence left around the place. The hiccup is – the cops are already here and you need to be sneaky to get around them. You can stay behind obstacles or hide in safe spots to stay out of their sight, which is represented by a vision cone. However, when they do see you, they will ensue a chase, and it’s instant game over if they catch you, needing you to start all over again. This encourages really careful play, with you scouting and learning enemy movements and patterns. A single mistake will usually result in game over, and can become frustrating when minutes of careful planning and deliberation go down the drain. Bodies from the crime scene need to be carried back to the trunk of your car, while other items can simply be collected and disposed. Item and body placements are randomised every time, which eases out some of the sense of repetition, but there still is some of that which can become tedious after multiple failures. Some kind of easy mode with the option to save often would’ve been welcome, but maybe that would’ve have broken the design of the game. I really wish there were more puzzle elements to the game, and more of an incentive to explore and discover safer.hidden routes. Sadly, the game shows almost everything it has to offer really early on. This is absolutely fine if you enjoy the game for what it does well, I just wish there was a little more gameplay to offset some of the repetition. 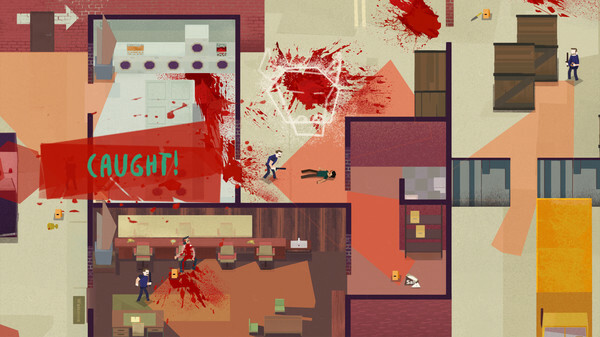 The music and and the art style are heavily inspired by the late 70s and early 80s, and lends a great feel to the game. 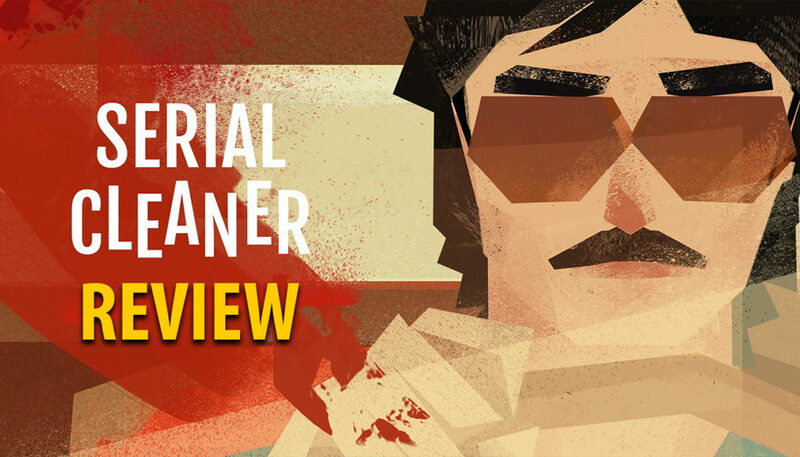 Serial Cleaners is definitely fun, and has enough to warrant a full playthrough. However, just a little more here and there would have gone a long way in attracting more people to the game. Even so, I absolutely did enjoy my time playing the game, and still intend to go back and go through it again.